NASJA is home to North America's largest association of professional snowsports writers, authors, photographers, videographers, broadcasters and industry professionals. Each year the association chooses a recipient of the Carson White Snowsports Achievement Award, with this year's award going to Jason Levinthal. 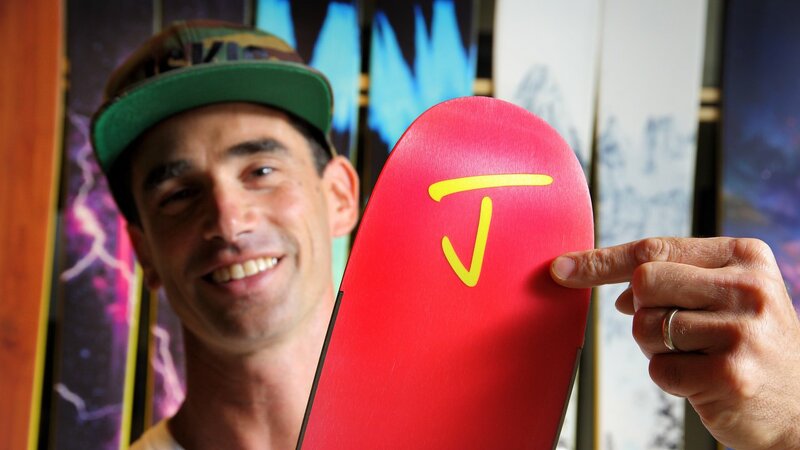 From starting Line Skis out of his parents' garage to now heading up J Skis, Levinthal has been an industry innovator, influencer, and all around good dude for the past 20 years. Congrats JLev, well-deserved and wishing you only good things in the new year! Jason Levinthal, developer of the first twin-tip ski, has been selected by press members of the North American Snowsports Journalists Association as the recipient of the 2017 Carson White Snowsports Achievement Award. On a single-minded mission to change skiing, in 1995 he built the first twin tip skis as a college project, launching from his parent’s garage the now well-known brand “LINE”. His unique ability to keep his finger on the pulse of what’s next, backed by the persistence, know-how and guts to not be afraid to fail, enabled him to turn his vision into reality. The result is innovative products far ahead of their time, often credited for rejuvenating the sport while paving the way for other new start-up ski brands to follow. 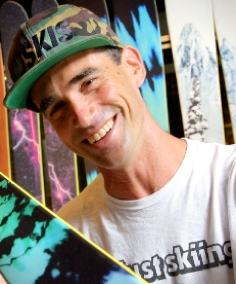 Along the way he sold his ski company twice, won a medal in skiing’s first Winter X Games, patented a twin tip ski, was featured in Newsweek and The New York Times, spoke at colleges and TEDx talks, and was credited for discovering and fostering some of the most influential skiers of the past two decades. After selling Line to K2 Sports in 2006, he continued to work for them, steering the Line brand into one of the top five ski brands in North America by 2013, and masterminding the resurrection of the Raichle Flexon ski boot under the “Full Tilt” brand name. In 2013 Levinthal left it all to start another new ski company called “J” with a mission to do things different by working alongside engineers, designers and manufacturers to build small quantities of limited edition skis. He then hand-signs and numbers each pair for a one-of-a-kind ski. The Carson White Snowsports Achievement Award honors an individual or individuals who have made a significant contribution to the advancement of snowsports in North America, either achieved with a single, defining accomplishment or through a lifetime of snowsports endeavors. The award is named in memory of the first president of the U.S. Ski Writers Association, the predecessor of NASJA. Two years ago this award merged two prior awards, the Carson White Golden Quill and the Lifetime Achievement.